Garmin may be best known for its top-end running watches, but that doesn't mean the company is averse to making smartwatches that suit everyday wear - and that's the point of the Garmin Vivomove HR. Somewhere between smart and hybrid watch, the Vivomove HR is capable of tracking elements of your fitness such as heart rate and step count as well as smartphone notifications, and does it with a stylish look. The company has been selling the Vivomove HR for over a year now, and it has just introduced four new designs that may take your fancy when you're looking for a new watch. Those four new styles can be seen in the image below. There's a rose gold variant with the case and watch face in the same color, as well as a gold version with a black watch face. The other two versions come with a silver body, while one sports a silver watch face and the other is a brown shade. Each of these new watches also comes with a leather strap bundled with it. They are 20mm and interchangeable with Garmin's own bands and third-party options, which is especially useful if you're after a different band for when you're working out. 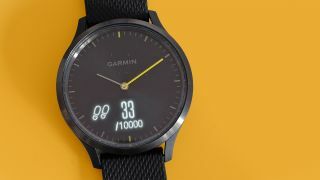 In the past, some versions of the Vivomove HR have come with a spare silicone band but it doesn't seem like Garmin will be offering that deal for these new designs. In our Garmin Vivomove HR review we praised the watch for its impressive year-long battery life as well as its smart gym tracking features and solid heart rate tracking. You can buy these new colors now from the official Garmin website in the US, and each is set to cost you $349.99. We've yet to hear when they will be on sale in the UK and Australia, but we'll update this story if we hear about them soon.